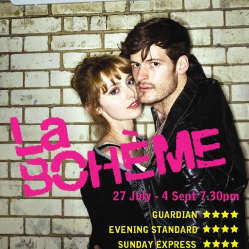 Our production of La Boheme has just won the award for “Best Off-West End Production”. The opera in which I appeared as Mimi at London’s Soho Theatre last summer picked up the award tonight in the 2011 What’s On Stage Awards. Congratulations to everybody involved!